Musical Improv can often feel like there is no rhyme (pun intended) or reason to what makes it successful. Performers usually comment that they don't know what makes one improvised song feel great, but another feel flat and scattered. 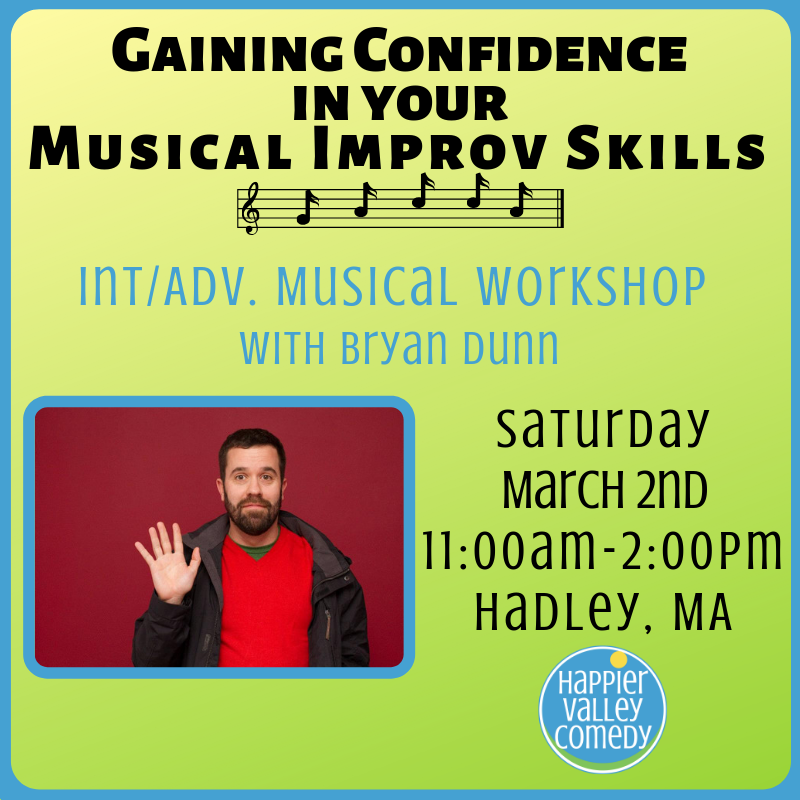 In this workshop, we will focus on things performers can add to their skill set that will help ensure they can weave musical improv seamlessly, and confidently, into their scene work. Bryan Dunn has been an accompanist, musical director and director for various improv theaters for over twelve years. His past credits include music director and director for Improv Asylum (Boston), music director for The Second City's National Touring Company (Chicago), iO Theater (Chicago), The Annoyance Theater (Chicago) and ComedySportz (Chicago) as well as ImprovBoston. He most recently helped to create, and was the first director for, B.U.M.P (Boston's Unscripted Musical Project).